Located right outside Madrid in the autonomous community of Castile and Leon, Segovia prides itself on being one of Spain’s most historic cities. This medieval city has a vast amount of stories to tell, as it was once inhabited for a long period of time by the Celts, Romans, Moors, Christians, and Jews alike. But the city truly grew in power during the manufacturing period in the 16th century, when it became a juggernaut in producing textiles and wool! Today if you visit the city, you will see the remains of each of these cultures through the incredible monuments. Dating all the way back to the Celtic people, Segovia was a prime location along several trading routes. This made it extremely valuable for whichever kingdom or Empire possessed it at the time. The most well-recognized treasure of Segovia is the Roman Aqueduct, in which tourists flock to marvel and photograph the civil engineering masterpiece. Beyond the ancient Roman aqueduct, Segovia is home to other significant monuments such as the Alcazar – which was once the official residence of the Kings of Castille, several Romanesque churches – including the very last Gothic cathedral to ever be built in Spain, palaces, and the Segovia Mint! Only a one and a half hour drive from Madrid, Segovia is the perfect day trip for those studying in Madrid. Wear comfortable shoes, as the city has many hills, and discover the history and the cultural remains of those who once resided in the city. If you happen to stay in Segovia for the night, head to the San Milan area for numerous nightlife venues. If you like food culture, make sure you take the opportunity to try the famous Segovian dish – Cochinillo Asado – which is a slow roasted, suckling pig! 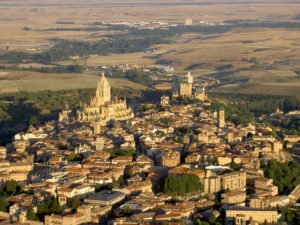 Have some free time and looking to go to Segovia? 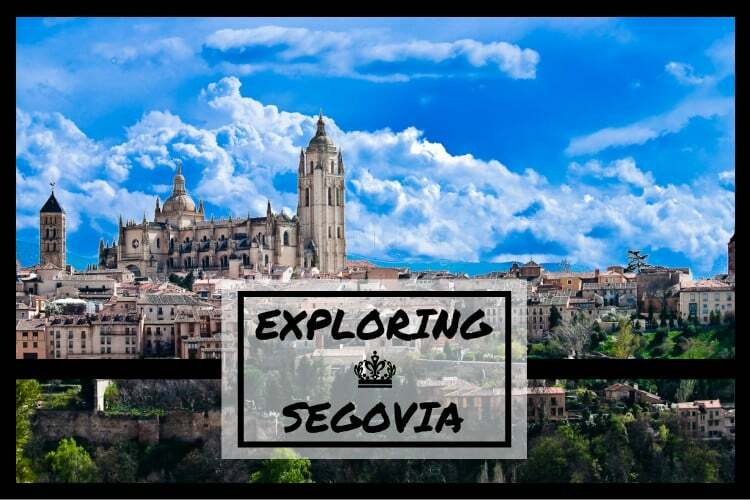 Check out our trips calendar and join us when we explore Segovia for the day! One of the most exciting day trips from Madrid!